A funny thing happened after I finished The Evil Within 2. I was ready to play it again, and it’s been a minute since I felt the need to do that. Resident Evil 4 was the last game I jumped into it for a second, third, even fourth playthrough, perfecting my runs, and bleeding that game dry. Since recent entries haven’t been quite up to snuff, I haven’t feel the same desire. Resident Evil 7 was close but it capped off in a way that was satisfying, and with DLC in the pipe I didn’t feel that urge to give it another go, instead waiting for that final DLC package to come along and do it all in one go. 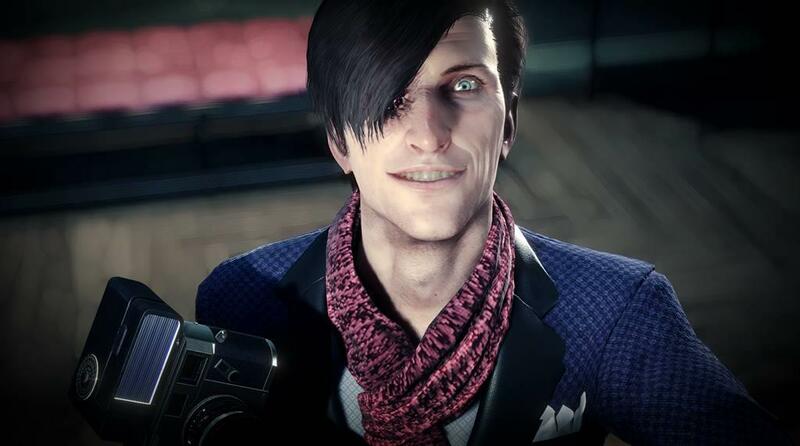 But The Evil Within 2 managed to clean up so many of the problems that plagued the first game that I felt compelled to try to go back and get some of the achievements I missed, complete some of the mini-games (wouldn’t be a Shinji Mikami title without a shooting gallery mini-game), and max out series protagonist, Sebastian Castellanos’ skills with all that green gel I had been collecting. When I initially started this game though, I didn’t quite have the same feeling. 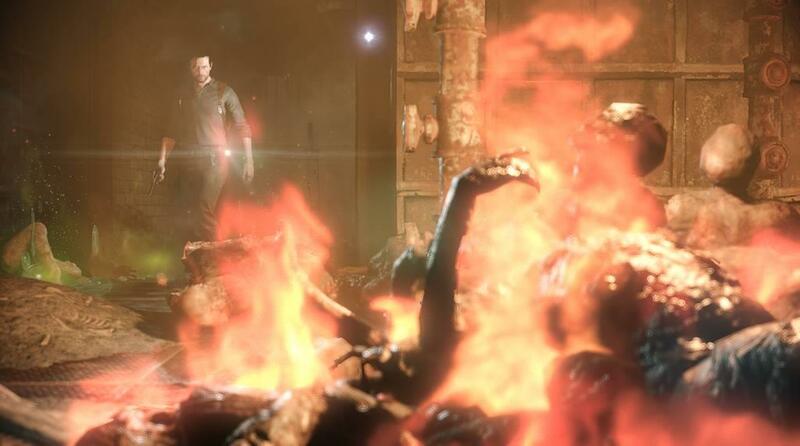 In fact, I was outright dour on The Evil Within 2 through the first few hours. This is due to the biggest design change to a horror game I’ve seen in quite some time, the addition of a pseudo open-world to explore. The initial deep dive into STEM immediately exposed me to the dangers that Sebastian and I would be experiencing. A killer who could freeze his victims in time, forever trapped in the hellish nightmare of the moment of their death. And deadly enemies with a penchant for blood. With no weapons to start with I’m weak, vulnerable, and I have to run. And then it happens, the first major shift, we’re no longer in the narrow hallways with the messed up scenery. Now, I’m out in the open, in the ‘sleepy town’ of Union, a creation within STEM that was built by Mobius, the spooky Illuminati-esque group of the first game. This is where things got weird for me initially. 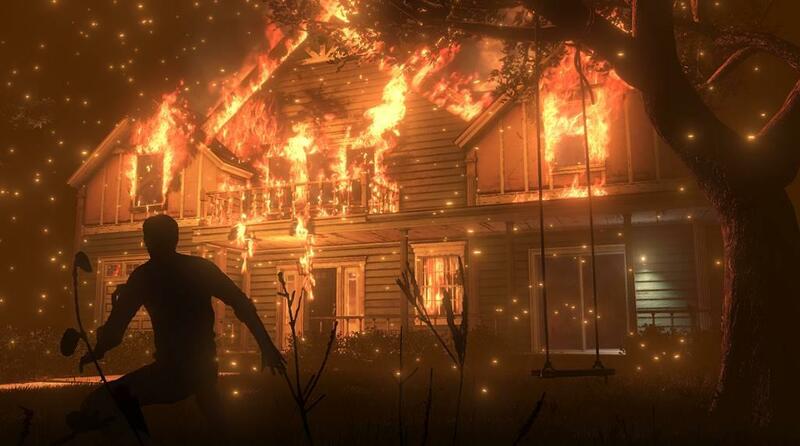 The open world is a major shift for a horror game for me. This game also really wants me stealth around, and I’m not sure how I feel about that. Sure ammo is at a premium, but there’s a ton of items with which to craft, and plenty of weapons to collect as well as upgrade. 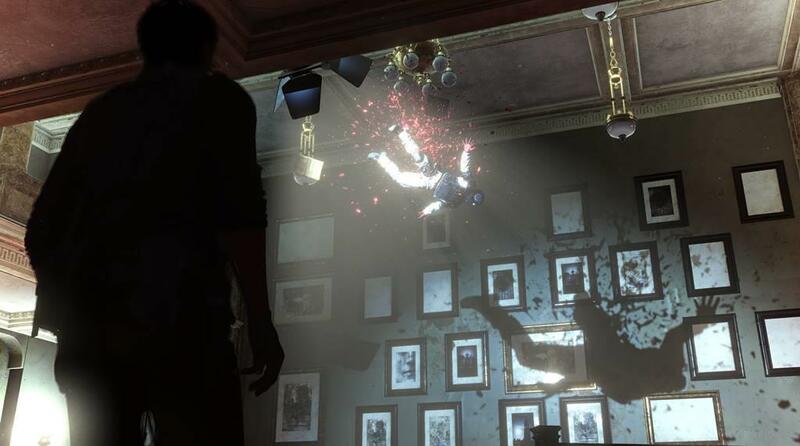 The emphasis on stealth isn’t a major deterrent, but it changes the tension of certain situations. 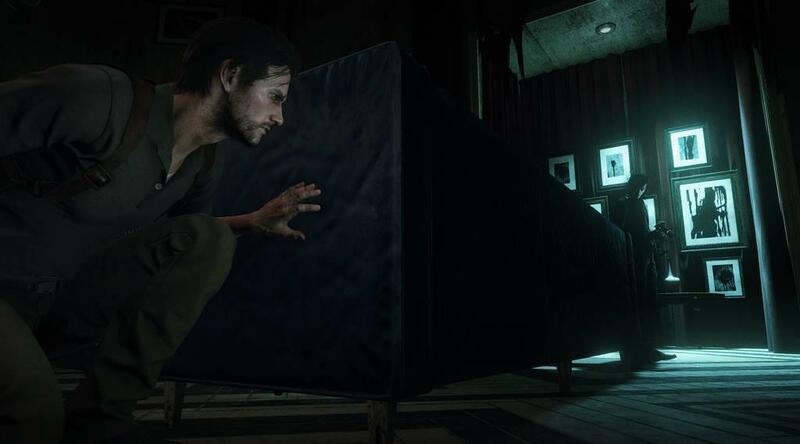 In The Evil Within 2, I felt like I was moving between instances of tension, with the open world just being this thing to explore to find the materials necessary to survive the next instance of terror. Although I must admit, I rarely felt the intended tension that this game was preparing me for. I can think of less than ten instances where I felt genuine terror, a lot of that due to being scripted moments, some that I’ve seen before. So while I may not have experienced the game the same way as other people, I can at least appreciate what the designers were trying to do, even if it didn’t hit me the right way. There is also a short first-person segment of the game as well, and it’s interesting to see the designers were willing to throw in these little experiments, just to break up the small open-world segments. I enjoyed the overall flow of the game after the first break from Union. That initial exposure felt like it went on for too long with too many distractions that kept the story from moving, but knowing that this is a horror title, I decided to see everything through to make sure I was well stocked up for the battles ahead, and I felt like I was properly rewarded for the investment of my time. So even though it causes the game to slow down considerably, I highly recommend going through the third chapter at a snail’s pace, and exploring everything that the game throws at you. Visually, The Evil Within 2 is a gorgeous game, and is a step up from the first game. With that comes with a heavy requirement for PC gamers. I found myself constantly fiddling with things to try and get the frame-rate to level off while in 2K resolution, and I was just not having any luck. In some areas that weren’t too taxing, I’d hit 60 frames, no problem, well, until I swung the camera around and then saw that number dip to about half. My machine is no slouch, with a i7 6th generation, and a 1070 FE, I thought this game would easily bend to my will, but it actually wound up being the other way around. What eventually settled everything down, was actually shutting off V-Sync entirely, and it stopped a lot of the hitching I was experiencing, still even running at 30 frames per second, this game is a visually pleasing game, with a lot of beautiful effects layered on top of each other, and the transitions between gameplay and cutscene are incredibly smooth, but even as Digital Foundry pointed out, this port has some issues. But I like to also look on the bright side of being a PC player, with a few quick and easy changes, you could play this game entirely in first-person mode if you wanted to. There are also FOV settings that aren’t available on the console which really help to clear up the screen as well, since you’re always looking over Sebastian’s shoulder, he occupies a lot of the screen’s real estate. The audio for this game, pretty damn creepy, but also pretty damn campy. The voice acting in particular. I actually played the original game in French, and I almost did the same with this game as well. But the music is good, if not terribly memorable, although that cover of Ordinary World, not feeling it, it worked for the reveal trailer, and as a ‘concept’ for the game, but I felt like they could have cut that and things would have been fine. The sound effects, a lot of those will stick with me, especially one monster in particular that you encounter about midway through the game. 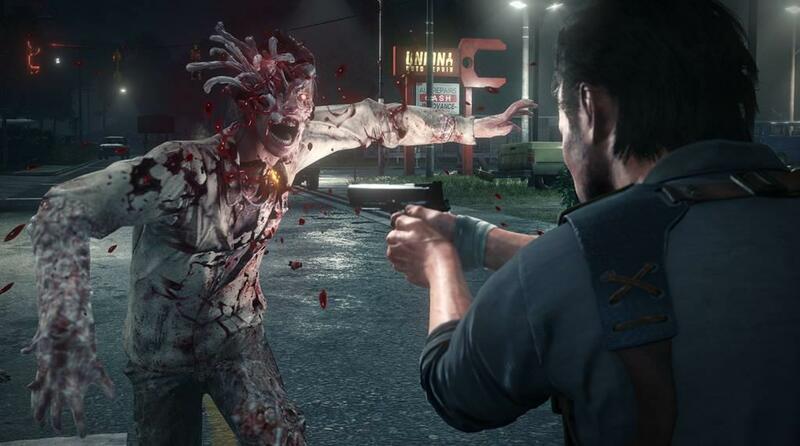 Is The Evil Within 2 better than its predecessor? Absolutely, without question, this is on par with the quality of something like Resident Evil 4, or Fatal Frame 2, although for me it’s more like a distant third, because those bars are set so unattainably high for me, nothing will dethrone those games. 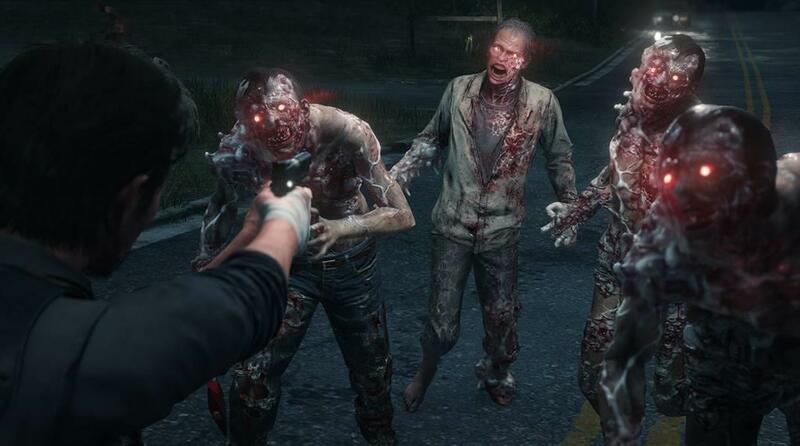 But The Evil Within 2 is one of the better horror games of this generation, without a doubt, and it is astounding that the open-world experiment is as much a success as it is. The tension wasn’t always there for me, except in a small number of places, but as someone who’s seen it all for horror games, I have a bit of a high tolerance for it, but those parts that did get me were genuinely tense, and I’m kind of bummed I didn’t get that feeling more often. 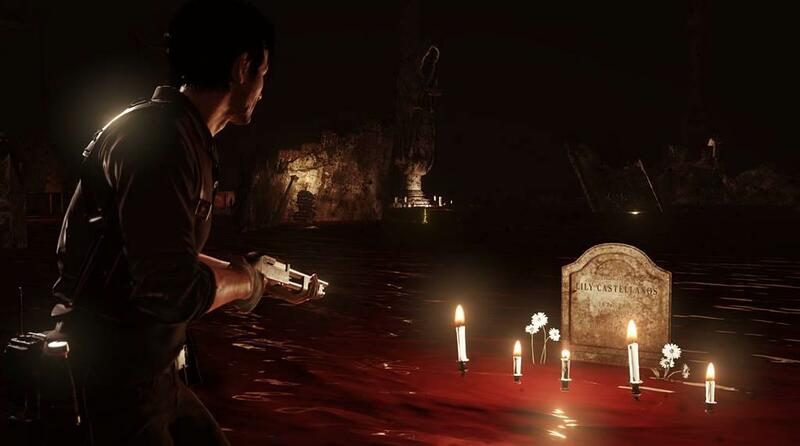 If you need a good fright with some tight action, and a good amount of exploration, but don’t want a full on collect-a-thon, then The Evil Within 2 is the perfect game for you. 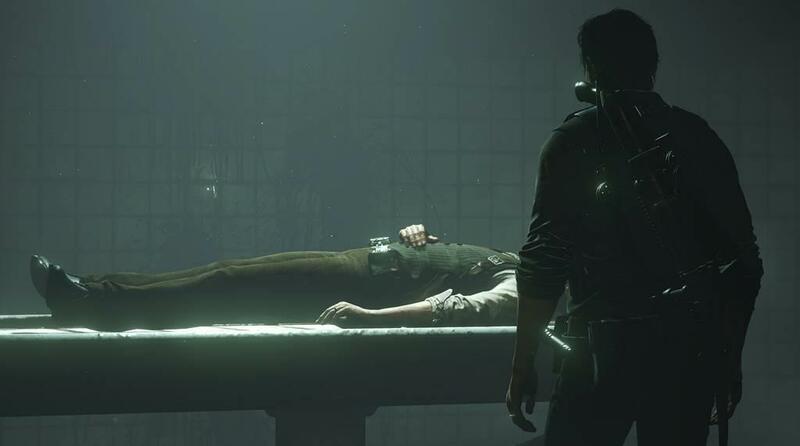 The Evil Within 2 get so much right that it's predecessor got wrong, and it's actually a great game on top of that. The initial chapters of the game start off slow, but then once things get rolling, this game is really hard to put down.